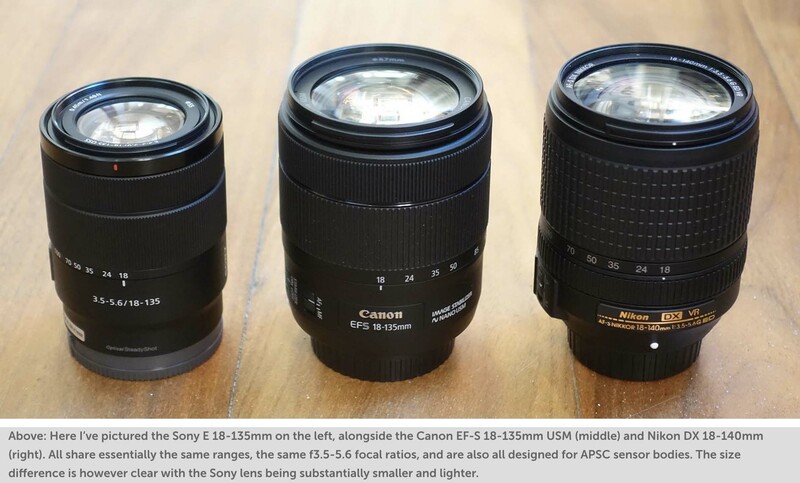 Cameralabs reviewed the Sony E 18-135mm f3.5-5.6 and seemed fairly impressed with Sony’s new APS-C lens. Maybe Sony will come through with their promises to not abandon APS-C after all. The new 18-135mm is pretty good for a kit lens, but I hope Sony develops a lens like excellent Fujifilm XF 18-55mm f/2.8-4 R LM OIS for a future E-mount camera. The Sony 18-135mm almost pin sharp to the corners, which isn’t bad for the price, but Sony can still do better. You can read the Full Camera Labs Review here. This entry was posted in Sony a6000, Sony a6300, Sony a6500, Sony lenses. Bookmark the permalink. Trackbacks are closed, but you can post a comment.